Namaz (Salah, Salat) is a direct connection between Allah (SWT) and his servants. Purpose of our birth is to worship Allah (SWT). There are many acts of worship (Ibadah, Ibadat) in Islam, and Namaz (Salah, Salat) is one of the most important obligatory acts. 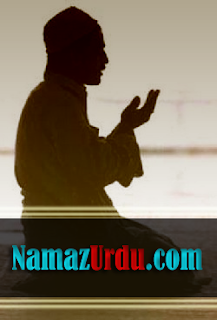 We are sharing with you Full Namaz with urdu translation, so that everyone knows what true meaning of Namaz is. ALLAH (SWT) says in Holly Quran: "I have not created the jinn and humankind for any other purpose except that they should worship Me." (Noble Qur'an 51:56). Then there is a Hadith: "Namaz is a pillar of Religion. If Namaz is accepted all other deeds are accepted. If Namaz is rejected then all other Deeds are rejected" Holy Prophet Mohammad (pbuh). Salah (Salat, Namaz) is a practical sign of obedience to the commands of ALLAH (SWT). Just imagine that the importance of Namaz has been emphasized about 500 times in the Holy Qur'an. We Muslims in Pakistan simply learn and perform Namaz in Arabic but we don’t know the translation. I think it is very important for all of us to learn the meanings and translation of exactly what we are reading in Namaz! Because some of us (especially the non Arab speaking people) just read away and we don't know what we are saying in our Namaz! When you don’t know the translation of Namaz in Urdu, you cannot concentrate properly in your prayers! Concentration in prayers is only possible when you know what you are reciting. Believe me once you will learn Namaz with full translation in Urdu, it will add more humbleness and tranquility in your prayers. You can feel it in your hearts when you praise Allah (SWT) in Your Namaz. You will feel yourself more close to Allah (SWT) and more connected with your Creator. This is only possible if you learn full Namaz with Urdu Translation.